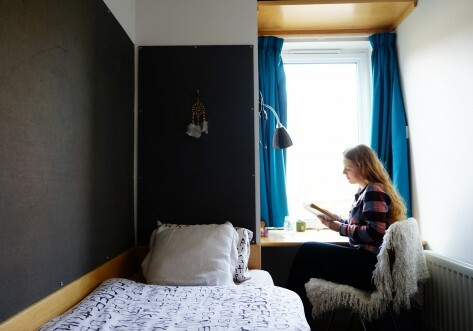 Located in London’s Zone 1, this premium student accommodation sits on New Kent Road and is a three minute walk from Elephant and Castle tube station. Live in one of London’s most dynamic and diverse neighbourhoods bursting with creativity, culture and international cuisine. The Shard, London Bridge, Hays Galleria and an eclectic mix of restaurants, cafés and indie shops are all within walking distance, making Portchester House the perfect accommodation for students in London. Spacious and contemporary, Portchester House includes an outstanding communal space, the Skylounge, on the 20th floor. 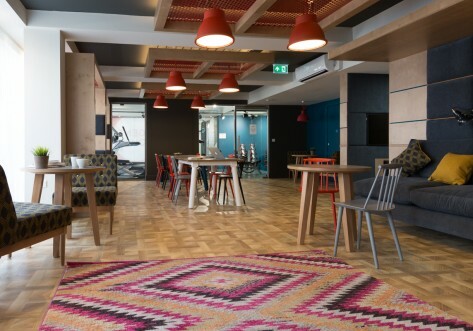 Offering 360° views of the London skyline including The London Eye, The Shard, St Paul’s Cathedral, Big Ben and Westminster and a host of spaces including a Screening Room, Games Room and a Study, the Skylounge is an ideal place to socialise and study with other residents. 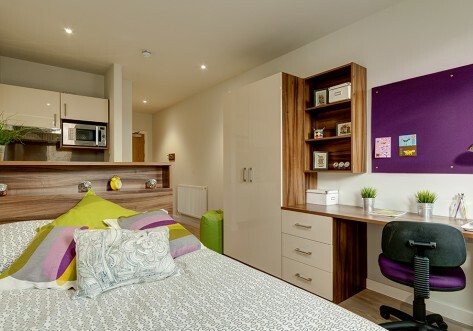 Featuring a diverse range of en-suite studios with great views to suit your needs, each studio comes fully furnished with a kitchenette, double bed, spacious desk and plenty of storage space. 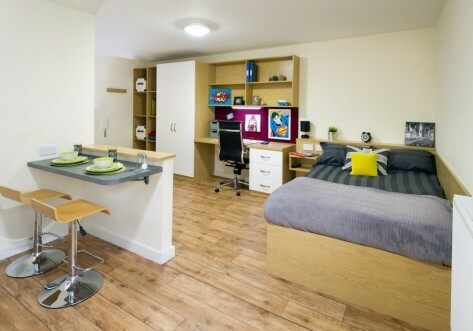 Portchester House ensures you have everything you need and more on-site; this includes 24-hour CCTV, 100Mb Wi-Fi throughout, on-site maintenance and management teams, laundry and secure bike storage. There’s also a Sainsbury’s supermarket and a high-spec GymBox right next to Portchester House. Portchester House is centrally located and just a 3-minute walk from Elephant & Castle Station. The station is served by Bakerloo Line, Northern Line, Overground to Waterloo, Charing Cross & London Bridge, along with 29 bus routes, making Portchester House extremely well-connected. Few studios remaining. Book now! GREAT LOCATION- You'll be right in the heart of London's zone 1! Your own private hideaway. Last few remaining! Bright and airy with great views of the London skyline.